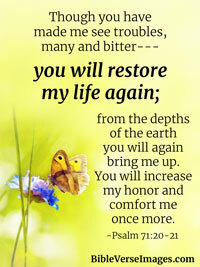 For you have been my hope, Sovereign Lord, my confidence since my youth. From birth I have relied on you; you brought me forth from my mother's womb. I will ever praise you. 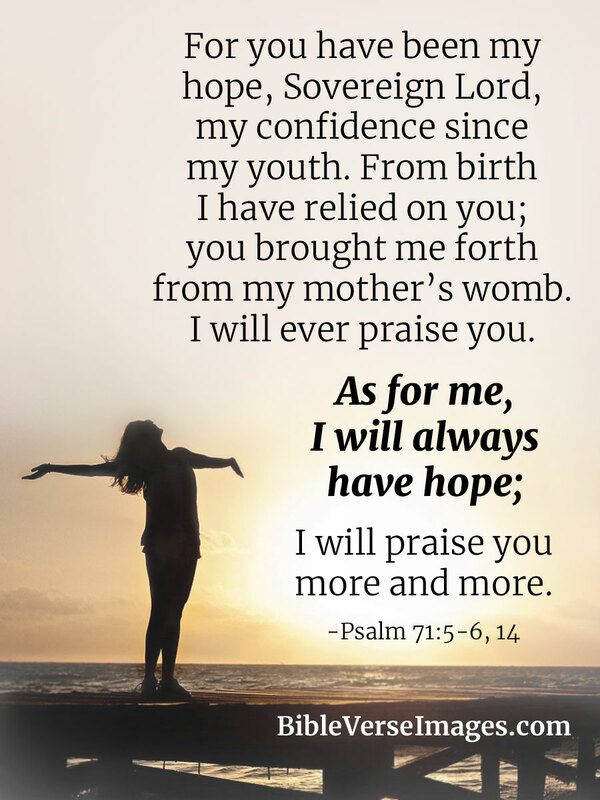 As for me, I will always have hope; I will praise you more and more. O Lord, you alone are my hope. I’ve trusted you, O Lord, from childhood. Yes, you have been with me from birth; from my mother’s womb you have cared for me. No wonder I am always praising you! 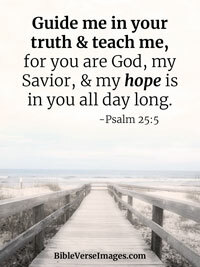 For You are my hope, O Lord GOD; You are my trust from my youth. By You I have been upheld from birth; You are He who took me out of my mother’s womb. My praise shall be continually of You. For you, O Lord, are my hope, my trust, O Lord, from my youth. Upon you I have leaned from before my birth; you are he who took me from my mother's womb. My praise is continually of you.